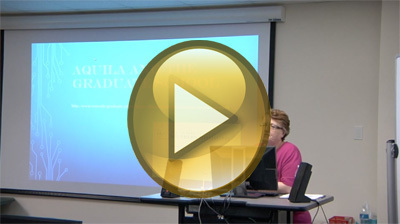 Aquila is USM’s repository for scholarship and research produced at USM, and it is the place where all graduate students will submit their theses, dissertations, and nursing capstone projects for review and approval. In this workshop, participants will look at some of the different collections that are available in Aquila. They will then learn about the steps for using the Graduate School’s thesis and dissertation templates and will walk through the process for submitting a thesis, dissertation, or capstone project to the Graduate School Reviewer. The features and benefits that are available to authors once the final, approved thesis or dissertation is posted in Aquila will also be demonstrated. Cromwell, Josh C. and Stewart, Jeanne E., "Overview of Aquila and Introduction to the Thesis/Dissertation Submission Process" (2016). University Libraries Workshops and Presentations. 1.